Schofield Barracks is the largest Army post in Hawaii, located on an 18,000 acre site in central Oahu. It is named in honor of LTG John M. Schofield, who, in 1872 recognized the strategic importance of Oahu to the defense of the United States. Construction was began on the barracks in 1909. The Tropic Regions Test Center (TRTC) was relocated to Hawaii as a result of closure of U.S. military installations in Panama. The East Range at Schofield Barracks provides an adequate location for soldier system and chemical-biological defense testing. The Schofield Training Area totals 4,695 acres and consists of acres of fee and ceded land and leased acres. 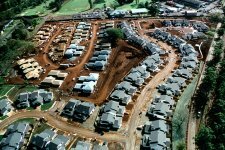 The Schofield Barracks Cantonment Area contains another 2,187 acres. The Schofield Training Area is centrally located on Oahu, on the eastern slope of the Waianae Mountain range. The installation extends eastward from the ride line to Kaukonahua Road. The upper portion of the training area lie within a Conservation District which is called the Schofield Forest Reserve. The conservation district extends to the northwest and included in the central Oahu Agricultural District. Most of the district is used for growing pineapple. 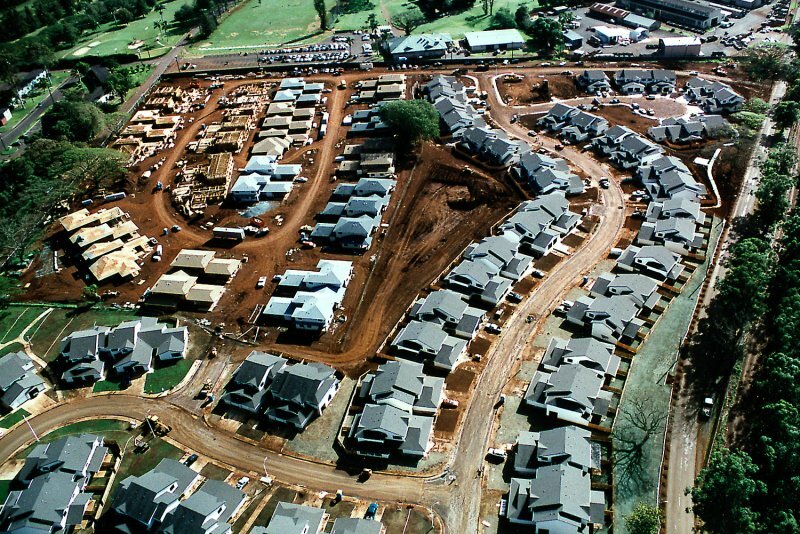 Urban districts adjacent to the training area include the Schofield Barracks developed area, Wheeler Air Force Base, and Wahiawa. The Schofield Training Area is in a large valley, having a ridgeline along the north, west and southwest boundaries. The valley faces east and extends into the central Schofield saddle. The majority of the site is of moderate slope, however, much of this is included in the central impact area. Beyond the impact area to the west and southwest, the land rises steeply and is not considered usable for maneuvers. The steep area is used as a safety zone for the impact area. The ridge of the Wainanae Range has the highest point on Oahu, Mount Kaala, which has an elevation of over 4,000. The elevation of the maneuver areas vary between 800 and 1,400 feet in elevation. Vegetation varies from heavily woods on the steeper western slopes to open grassland in the impact and range area. Several thickly wooded gullies cut through the impact area. Two archaeological sites have been found within the range area but they are not considered suitable for preservation. The Schofield Training Area can be reached from the Schofield Cantonment area by several roads and by Kolikole Pass Road. The range is bisected by Kolikole Pass Road which crosses over the ridgeline and passes through NAVMAG Lualualei. Numerous jeep trails and unimproved roads extend throughout the maneuver areas, ranges, and around the impact area. Designated helicopter landing zones are located throughout the area. The Schofield Training Area is dominated by the 2,800 acre range and impact area. The range lies along the eastern and southern boundary of the impact area. Areas suitable for infantry maneuvers which total approximately 1,200 acres exist to the northeast and south of the impact area. The remaining 3,300 acres to the west of the impact area are considered unsuitable for maneuvers. The southern parcel is characterized by folded terrain with steep slopes cutting the training area into several compartments. This parcel is suitable for field training of headquarters and service support units. It also contains firing points for artillery live fire. The northern parcel is relatively flat and suitable for essentially the same maneuvers as the southern parcel. The firing ranges are clustered in six groups adjacent to the impact area. The Kolekole Road Ranges, located to the southwest, consist of several small ranges. These ranges are used for grenade, antitank training (moving target range), small unit live fire assault, and defense exercises. East of the Kolekole Road Ranges are several Tremble Road Ranges used for larger weapons including machine-gun and artillery pieces. Above the Tremble Ranges are seven Central Ranges. These are used for TOW tracking, machine-gun, known distance firing, mortar, and M16 automatic fire. Seven McCarthy Flat Ranges are located farthest to the north and contain large ranges for miscellaneous firing. The largest ranges are the five South Ranges which are positioned below Kolekole Road. These are used for drivers training and group maneuvers involving live fire. The sixth set of ranges are the three small pistol ranges located to the east near the Schofield support area. In addition to the six groups of ranges, there are numerous separate mortar and artillery firing points located throughout the range area. The Schofield Training Area is not restricted by use agreement and exercises can be conducted seven days a week. The major constraint is in the insufficient size of the complex. Ideally, the impact area should be considerably larger with the ranges spread much further apart. The maximum firing distance is approximately five kilometers which is well below the maximum range of most artillery weapons. Because of the lack of maneuver space, the artillery pieces are positioned in a few firing points repeatedly. Additionally, the range and firing position safety zones overlap to such an extent that many ranges cannot be used simultaneously. Waivers of safety criteria are required to perform certain operations.